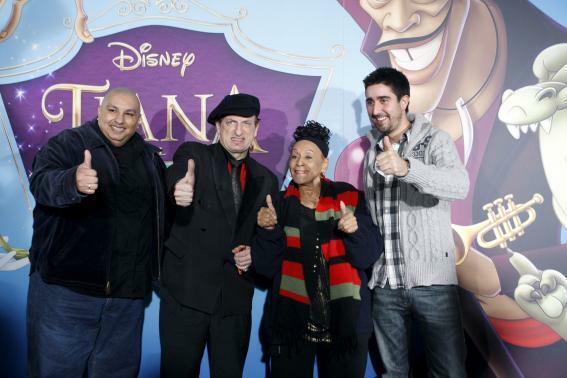 Friday February 5 Walt Disney's, Tiana y el Sapo premiered at the Capitol Theater in Madrid. Cuban icon Omara Portuondo attended with cast members who also participated in the original soundtrack. Omara perfoms the song "Hay que saber llegar al fondo" of the character Mama Odie.